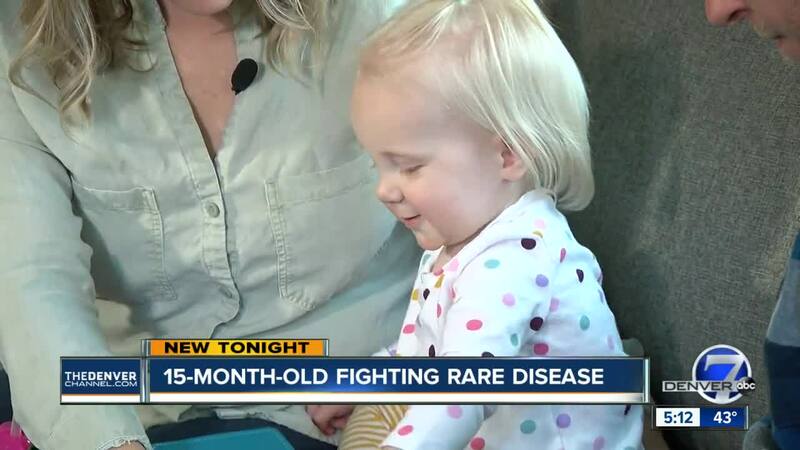 A Denver family is turning to the community to help their 15-month-old fight against a rare disease. DENVER -- A Denver family is turning to the community to help their 15-month-old fight against a rare disease. The Kirchhof family is hoping to raise awareness, funds and support for treatment and research on Cystinosis for their daughter Hayden. You can also donate by doing Amazon shopping through Amazon Smile . Amazon will donate 0.5 percent of your purchase to a charity of your choice. You can select the Cystinosis Research Foundation.